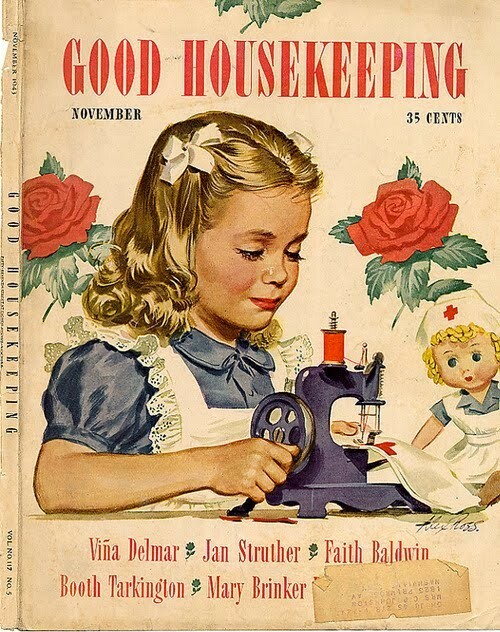 When I saw this picture of a little girl sewing on a toy sewing machine, it made me think of my grandmother, Isabel! Why does this remind me of my grandmother? She gave me a toy sewing machine for Christmas one year and a miniature sewing basket “just like hers!” I had so much fun piecing together pieces of cloth to make something special for my dolls. You might say that when we are reminded of pieces of childhood, we are piecing memories. Precious memories of our loved ones to share with our children, grandchildren and in our case, nieces and nephews. A toy sewing machine and sewing box just like my Grandmother Isabel’s! 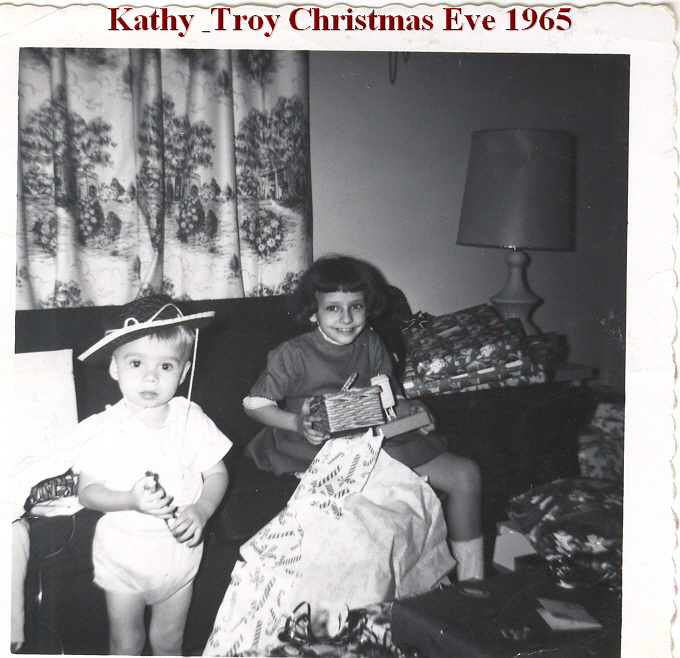 Decades have passed since that Christmas Eve but when I saw that little girl with her toy sewing machine, a flood of memories of my grandparents filled my heart. Granny was so excited about that gift because she knew it was the “perfect gift!” I had always admired her sewing basket and she had found a tiny one just like hers. Isn’t it funny how seeing something familiar can bring back memories? The smell of coffee perking or bacon frying in the morning transporting us home and giving a sense of security and warmth. Remember crawling out from under a nice warm quilt to dress for breakfast, knowing your Mom or Grandmother would be at the stove humming a tune? Perhaps our Heavenly Father planned it that way so that we will remember all that He has done for us! How many precious gifts from His loving hand have we cast aside, grown away from or hidden away? Search your heart, rummage through the scrapbook of your life and see the good and perfect gifts that only He can give. The best gift of all – His Son, the Lord Jesus Christ who gave His life for us. should not perish but have everlasting lasting life. Who could ask for a better gift than eternal life? We can’t work for it, we can’t be good enough. 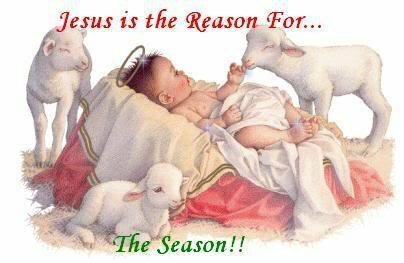 That is why Jesus came as a tiny baby – completely man and completely God – that He would become the sacrificial lamb for you and for me on the cross of Calvary. He conquered death and arose from the dead three days later. So that we may have everlasting life. This is Love! A sewing machine and tiny sewing basket was Granny’s way of showing her love. I accepted it without hesitation and with glee! God gave His only begotten Son because He loves you and me. I just had to share this wonderful news with you, dear reader. Won’t you receive His gift today? 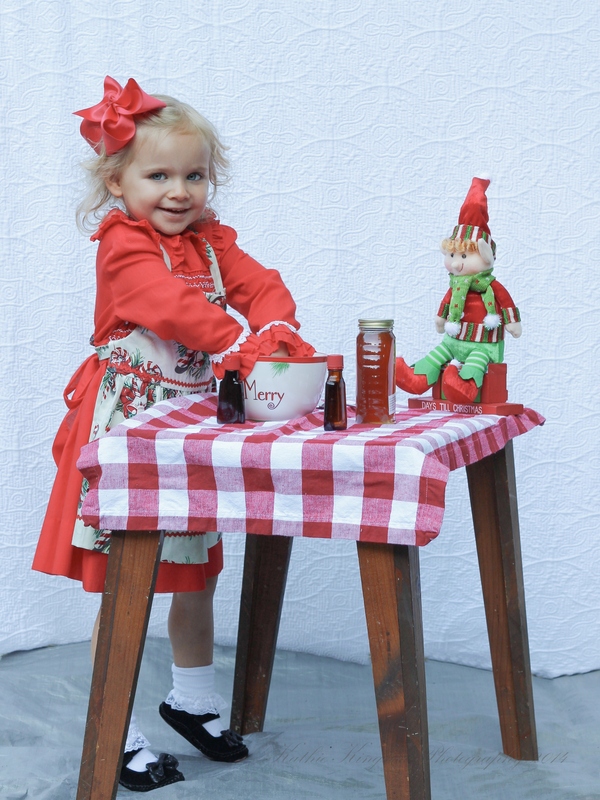 Little Isabel’s Christmas Joy was posted in 2012 but I thought someone may enjoy reading the story again as we prepare for the most wonderful day of the year – Christmas! bread men from the oven. “Oh, may I add some ba- I mean vanilla next time?” Isabel asked as Mama carried the empty bowl to the dish pan. something and this little girl didn’t want to miss anything. “Oh,” Isabel sighed and went back to work. “Celebrate” Mama said with a smile. with the paper and boxes. and the snow.” Everyone joined him in laughter. brother, Cookie, and Arlene Mason. wrapped gift box that was tied with a large, satin bow. just as Isabel had seen in the windows at the stores in Roanoke. “How did you know?” Isabel said. She choked back her tears. you. I knew Lizzie would want you to have it for your birthday. laughter and good-natured teasing from the Greene boys. “We miss you, Isabel,” Arlene said. “OK,” Aunt Jenny said with a box camera in hand. captured on film and cherished forever. hour to greet her on her eleventh birthday. “What’s everybody doing here?” Isabel asked. “That was because they had you to make their day special. squeal. She lifted him from Isabel’s arms. because he had not yet mastered holding a spoon. to offer her assistance. Isabel just enjoyed the moment. said. She reached for Raymond as he jumped towards her. Isabel did not wait to hear the answer; she already knew. Isabel stood in front of the group and took a deep breath. bored with playing and was ready to go back inside to the babies. her little brothers, who needed her. How to drive a Ford Model T – YouTube. In The Vision of a Mother’s Heart, “Papa” drove a Model T Ford. In my research for a chapter in the sequel where Papa teaches thirteen-year-old Isabel how to drive, I ran across this video in my research. I had asked my father, Charles McReynolds about the car and he had two important but surprising points to include. 1. The Model T had three pedals on the floor. The middle pedal is “Reverse” and the right pedal is the brake – No gas pedal! 2. When cranking the car to start it, it was important to hold the thumb close to the hand – “don’t use the thumb. If the crank backfires it can break your thumb off or at least will break the thumb.” Ouch! In my research I also found that if the weather is cold, one must use one’s left hand to turn the crank. If the right hand is used, it could break the right arm. Scary, wasn’t it? My grandmother, Isabel wanted to learn to drive at the age of thirteen because that is the age her two older brothers learned to drive. I can see why Papa was hesitant. Did he teach her to drive? We’ll learn the answer in the sequel, Hope Beyond The Sunset! In the Vision of a Mother’s Heart, handkerchiefs are often mentioned. Isabel saved one that her “Mama” had embroidered for her and is again mentioned in the sequel I am currently working on, Hope Beyond The Sunset. Notice the folded handkerchief in this photograph. It belonged to my grandmother, Isabel. Apparently, even as a child I loved “old fashioned” things. I had a clear idea of gifts perfect for my grandmother. Talcum powder with the big, fluffy powder puff, a broach with pansies painted on it (even though I never remember her actually wearing broaches or pins) and always thought the greatest gift was a pretty hankie. I don’t know how old I was when I gave this hankie to Granny but she returned it on my wedding day to carry on that day and to keep. She also gave me the pansy broach (I will write about this later) and a double string of pearls which I passed down to my sister when she got married. I have several vintage hankies passed down from family members and some “new vintage” hankies that I have ordered through the years. I have thought about making a quilt, pillows or “something” to display them while creating a legacy to pass down to other family members some day. I ran across this website and thought others who have an affection for hankies too will enjoy this site too. Perhaps you will see one that reminds you of your grandmother! Do you have a story or craft relating to vintage handkerchiefs? I would love to read about it! Scenes of the night before flashed before Isabel in vivid colors. no sound. Finally, in urgency, she cried out to the Lord for help. She felt a hand gently stroke her hair. child,” a voice whispered in her ear. “When thou passeth through the waters, I will be with thee and through the rivers they shall not oveflow thee; when thou walkest through the fire, thou shalt not be burned: neither shall the flame kindle upon thee. Because I am in the process of 'becoming' ... I am allowing my Master, Jesus, to weave the various threads of my life into His Masterpiece!